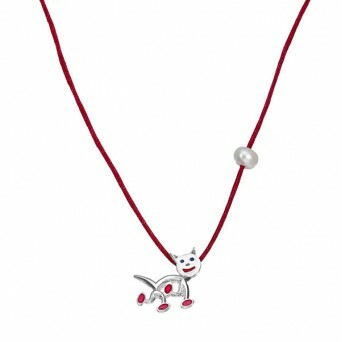 Handmade silver dog necklace with enamel, pink cord and fresh water pearl - Prices include 24% VA.. Handmade silver cat necklace with enamel, pink cord and fresh water pearl - Prices include 24% VA.. Handmade silver dog bracelet with enamel, turquoise and fresh water pearls - Prices include 24% V.. Handmade silver cat bracelet 925o with enamel, turquoise and fresh water pearls. The bracelet haw ma.. 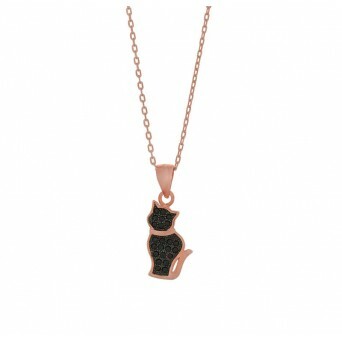 Handmade rose gold plated silver cat pendant with black cubic zirconia on thin chain. 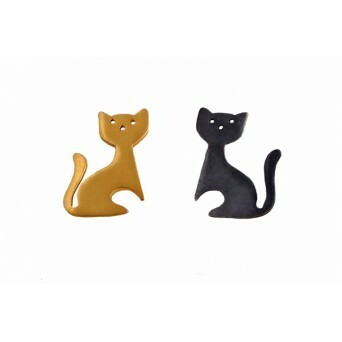 - Prices in..